Four countries, four iconic Ryder Cup golf courses. The Brabazon course at the Belfry Golf Club in England, the 2010 course at Celtic Manor in Wales, the Palmer Ryder Cup Course at the K Club in Dublin, Ireland and the 2014 Ryder Cup venue, the PGA Centennary course at Gleneagles in Scotland. Travelling by helicopter charter will allow you to play four iconic Ryder Cup venues in just four days. Follow in the footsteps of golfing legends as you tee off at some of the best and most recognisable golf courses that the UK and Ireland has to offer. Your helicopter will ensure convenient and quick transfers between the courses, ensuring you spend the maximum time enjoying the quality and hospitality of each of the Ryder Cup venues. Our client service team will take care of all aspects of your trip, including the helicopter flights, accommodation and luggage transfers between the hotels. The Brabazon course at the Belfry has played host to the Ryder Cup no less than four times, more than any other venue in the world. The course was designed by Dave Thomas and Peter Alliss and boasts two outstanding holes, the famous driveable 10th (well Seve has done it!) and the dramatic closing par 4, the 18th, where in 1985 Sam Torrance holed a putt to take the Ryder Cup out of American hands for the first time in 28 years. The Ryder Cup returned to the Brabazon course in 1989 when the match was halved and in 1993 five points from six from US veterans Chip Beck and Raymond Floyd helped the US team to victory. The last time the course hosted the Ryder was in 2002 when Paul McGinley followed his winning 8ft putt on the 18th with a swim in the lake. The history and quality of the Brabazon golf course make it one of the England’s finest and a must play venue. The 2010 course at Celtic Manor was the first course to be built specifically for the Ryder Cup and played host to the tournament in 2010. Measuring a robust 7493 yards off the back tees and with a par of 71 the 2010 course is a stern test of golf. Water comes into play on no fewer than half of the holes and there are no less than six signature holes. The course has three distinct sections, the outward nine having a distinctly links feel before the lakes come into play on middle stretch. The final holes occupy an elevated position and played host to many a memorable moment in the 2010 tournament. 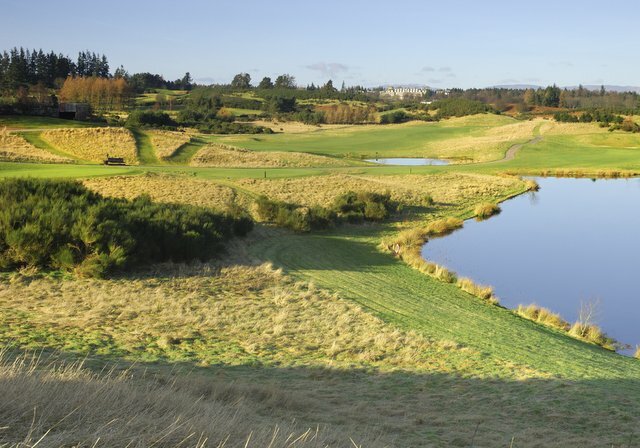 The Palmer Ryder Cup course at the K Club in Ireland is regarded as one of Europe’s most spectacular courses and in addition to the Ryder Cup has hosted the European Open 11 times. The River Liffey winds its way through the course and becomes hazardous on a number of them, especially the 8th where it lines the left hand side of the fairway. Like most Ryder Cup venues the course plays long off the back tees, measuring over 7,300 yards. The quality of the course, the facilities and the warm welcome you will receive on arrival ensure playing the K Club will be an unforgettable experience. The Centenary Course at Gleneagles was the venue for the 2014 Ryder Cup. The course was designed by arguably the game’s greatest ever player, Jack Nicklaus, and offers a fabulous combination of risk and reward. Nicklaus describes the land that the course was built on as “the finest parcel of land in the world I have ever been given to work with” and he has developed a spectacluar, stadium style course that will live long in the memory after playing it.